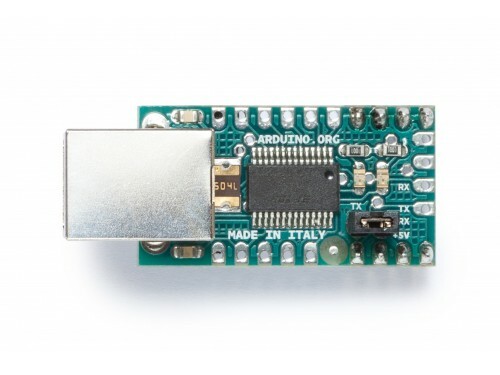 Turns a USB connection to the 5V TX and RX Arduino requires to communicate. 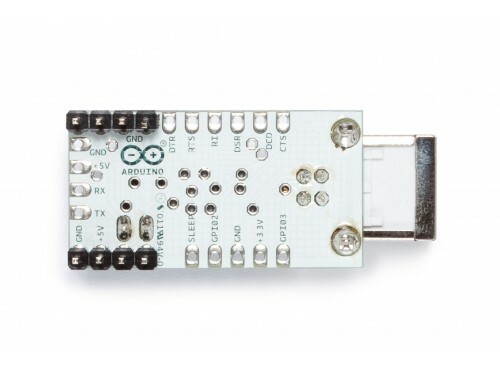 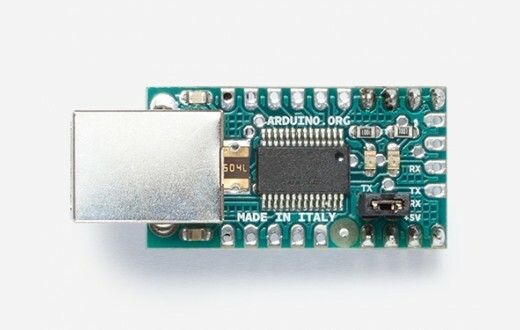 This board converts a USB connection to the 5V TX and RX an Arduino requires for communication. 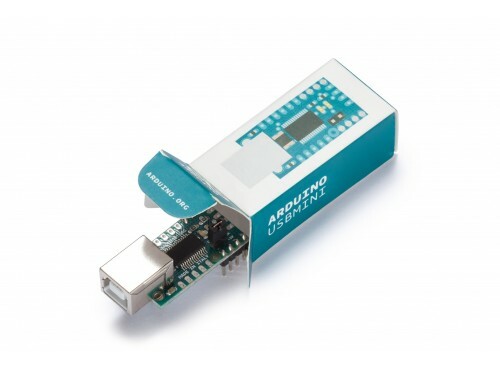 You can connect straight to the Arduino Mini or other microcontrollers, allowing them to talk to the computer. 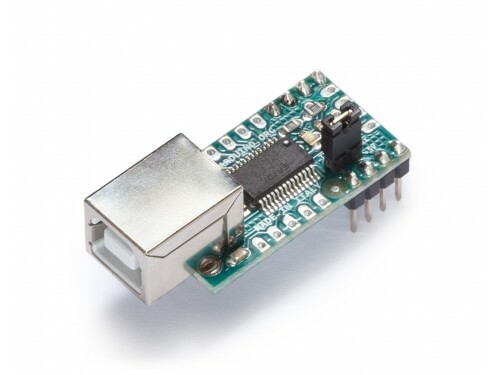 It is based on the FT232RL chip from FTDI (drivers are included with the Arduino software).